For more than 20 years, our team at The Perfectionist Cleaning Services has been committed to providing customers with outstanding carpet cleaning services in the Phoenix, AZ, area. Whether you need help cleaning your carpet, upholstery, or tile, our cleaning professionals are here to serve you. We provide detailed and attentive carpet cleaning services for both residential and commercial clients in the Greater Phoenix area. Give our “clean team” a try and you’ll see how hard we work to earn our name in perfection! Whether you have a small apartment or a sprawling business complex, The Perfectionist Cleaning Services would love to serve as your professional cleaning team for carpets and more. Even if you vacuum often, your carpets take a beating from constant wear and tear underfoot. Carpet pile refers to the length of each carpet fiber. Everything from a short commercial pile to the softest of shags will begin to show signs of age related to regular wear and tear from daily use. Ground-in dirt and grime are among the worst culprits and can make even clean floors look dingy and dirty, no matter what home remedies you use. Getting a professional carpet cleaning is more effective than a do-it-yourself project because we have the specialized equipment necessary to perform an in-depth job. Our heavy-duty equipment and cleaning machines address deep stains, pull out animal dander, and get deep into the fiber for a thorough cleaning that really makes a difference. 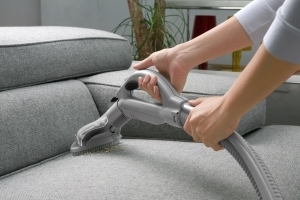 A professional cleaning will remove stained spots or general dirt in a way your vacuum can’t. Even better, The Perfectionist Cleaning Services can handle your property’s carpet as well as upholstery cleaning and tile and grout cleaning all at once, if needed. Carpet cleaning is one of our specialties at The Perfectionist Cleaning Services. We can handle rugs of all kinds, and we tailor our techniques and cleaning solutions for anything from plush carpeting to antique area rugs. Our cleaning team is trained to use equipment appropriate for the type of carpet and stains you need to clean, so you know you’re getting a first-rate job when you turn to us. Get in touch with us to get a quote for any of our professional cleaning services listed above and we’ll be glad to speak with you about all the details. Contact us for professional carpet cleaning today at 602-493-1233.